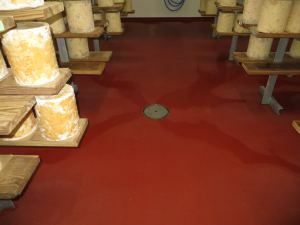 Kemtile was awarded the contract for the installation of a BASF heavy duty polyurethane floor, following the previous successful replacement of the drainage and floor in the dairy's Hastening Room, a contract awarded on the strength of its sector expertise. 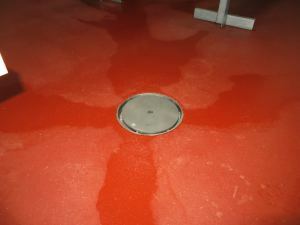 The new concrete floor was roughened by Von Arx Scabbling. This process removed any laitance and created a textured surface rough surface onto which BASF's MasterTop 1317 was installed over a total floor area of 840 square metres. 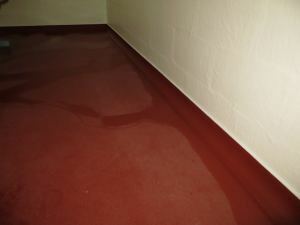 This BASF heavy duty polyurethane floor screed system was selected for its hygienic and chemical resistant properties as well as its strength, wear and slip resistance. The installation included a 50mm radius at the interface between the floor and the wall, which aids cleaning and reinforces the hygienic properties of the installation. David Priest of Kemtile, said: "This project set challenges which required a total design solution and showcased our product range and craftsmanship. We were delighted to work with Colston Bassett Dairy as it shares our commitment to quality and attention to detail to our work. Needless to say weâ€™re most pleased to be able to support its strategic growth with this flooring solution."